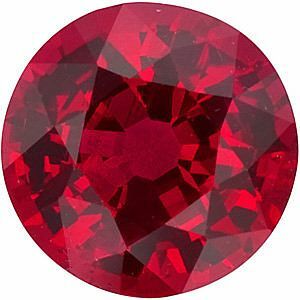 Special Round Fiery Ruby Loose Gem in Open Rich Red Color in 6.5 mm, 1.64 carats This Hard to Find, True Gem Ruby Gemstone Displays A vivid open rich red color, superb color with excellent clarity, cut and superior fire. A gorgeous fine quality Ruby stone in a highly requested shape and size, perfect for that special solitaire ruby ring. 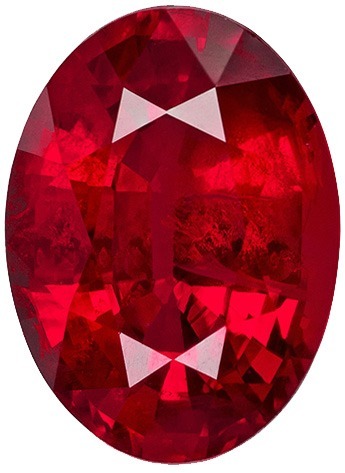 Are the most popular sizes for ruby gems to mount in ruby jewelry such as ruby rings and ruby pendants. These days, colored gemstone engagement rings are all the rage. Many people abandon the traditional diamond and loudly proclaim: Colored Rocks Rock! 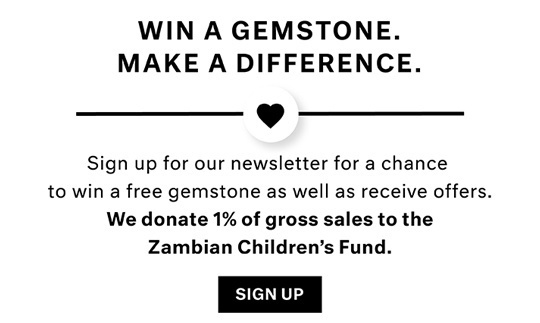 In the spirit of thinking outside the (jewelry) box, we encourage people to follow their heart and choose a gemstone that they truly love for the most important ring of their life. 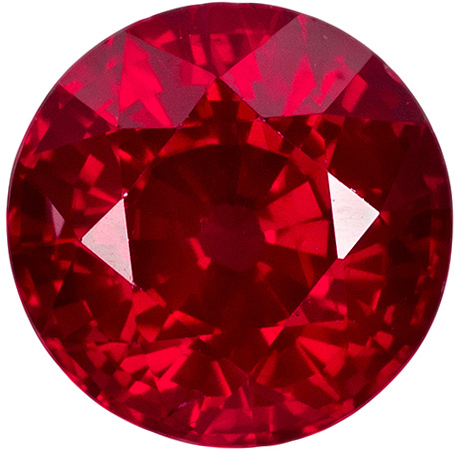 If you love the color red, filled with passionate ardor and bright beautiful tones, Ruby is the gemstone for you. The brilliant red color of Rubies is often symbolic of love and relationships making it truly appropriate for an engagement ring. We are pleased to offer you a spectacular selection of Ruby gemstones ranging from 2 to 3 carats. 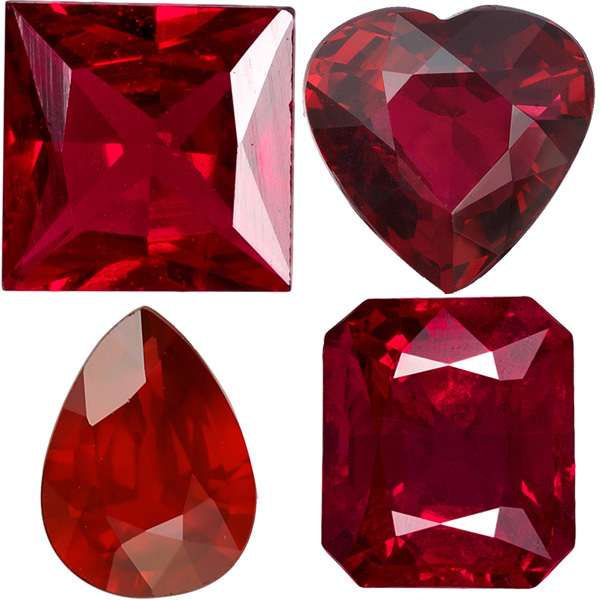 Our Ruby collection includes a variety of popular standard gemstone shapes including Oval Cut, Pear Cut and Heart Shape. Many women have a fantasy piece of jewelry in their mind's eye just waiting to be set into their dream ring, or pendant or earrings. If Rubies are part of your jewelry desires than look no further than AfricaGems. 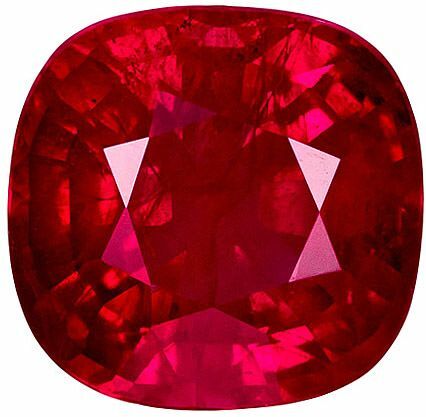 We offer FREE shipping on all loose Ruby Gemstones.